As JKIN made the best and each class, I decided to help him by putting one more topic. This one is tough. They are all really good except "Bumblebee" who is like a slightly more powerful Scout without Scout abilities. The thing with this class is each of these bots are really good at specific things and specific match ups. They can be utterly dominant in the right setting, or they can have serious liabilities in the wrong setting. Ultimately I went with Megatron. Used right he's the most powerful, with the most varied abilities and attacks. He stands up better against any random bot than the rest. Ultra Magnus is a very close second. I'm still learning Cyclonus somewhat but he's promising. G1 Prime is amazing for close range and the 2nd special, but if you can't get there you're in trouble. I'm surprised so many vote for him. What level are you at that you're worrying about whether players can get to Prime's SP2??? Trust me, the good players can get to his SP2 AND SP3 over and over. 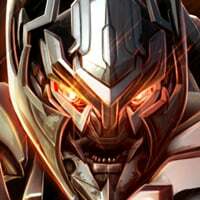 I love Megatron, he's my top Tactician and has a great toolkit but the damage Prime can deal at times is astounding. I suddenly realized I forgot the Sharkticons in my posts. 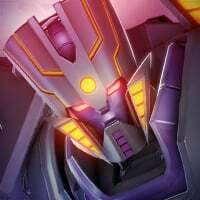 It has to be Cyclonus, due to his ability to completely nullify Motormaster's strengths, as well as make the final phase of Primal laughable. His SP1 also cuts nicely through those armour buffs. His SP2 is kind of a waste of time, but SP1 and SP3 are great. Motormaster is often one of the most overpowered fights in spotlights and AMs. He can wreck a whole team if you're a little unlucky, especially with lag being so common. Once he gets to low health, he can pretty much kill your fully healed bot with a single combo. 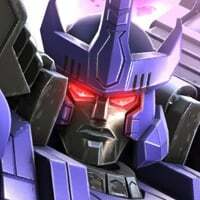 Cyclonus is the ultimate insurance. 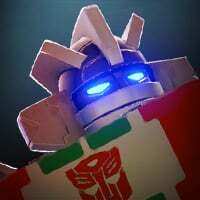 If the game worked smoothly all the time, maybe I would choose differently, but even just a touch of lag, which is incredibly common, can lead to your demise at the hands of Motormaster. Also, time his sp2 to coincide with his melee and ranged buff, then you'll see it's actually his most powerful SP unless you're fighting an armoured op. Yes, at times the field doesn't proc when MM attacks. I had put it down to two things: Sometimes if you're a little close he attacks without charging, so hence no unstoppable. The other time seems to be when you dodge. I think if the timing is good on the dodge, the field doesn't proc. It seems to be a penalty for timing it right! With some experimentation, I find that if you just kind of stand and wait for the charge, it seems to work every time. Therefore, I don't know if it's a bug, or how the mechanics work. I just stand and spam ranged shots repeatedly and it seems to work, but I'm pretty sure that's not how it's meant to work! First of all, thank you, EliteDragon. Now, the reason I chose Starscream is because of his null Ray. 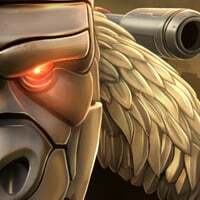 Now, just think about it: How many bots generate tons of buffs, and in Raids and Arena, masteries? 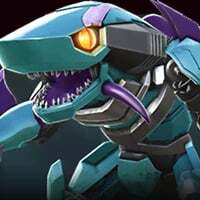 How would you like a dupped Starscream on your team that can nullify everything that’s not a debuff, dealing 5x the damage of a regular ranged attack MINIMUM? Undupped: OP. Very solid bot. I am thankful for the opinion and idea. Keep up the incredible post. Now, the reason I chose Starscream is because of his null Ray. 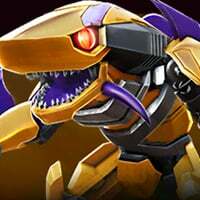 Now, just think about it: How many bots generate tons of buffs, and in Raids and Arena, masteries? 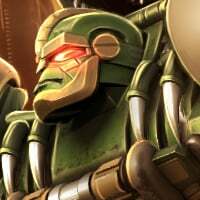 How would you like a dupped Starscream on your team that can nullify everything that’s not a debuff, dealing the damage of a regular ranged attack + a crit + extra shock damage?